T-Mobile has added more customers in the past 15 months than the three other major carriers combined, but the cellular provider may be distinguished in at least one other, more important way. According to tests conducted by Laptop Mag, T-Mobile phones last consistently longer on battery than their AT&T, Sprint, and Verizon counterparts. Laptop Mag’s test, which consists of disabling Bluetooth, NFC, and Wi-Fi and browsing 50 websites until power drains completely, measured a marked battery increase in T-Mobile variants of popular smartphones. The Samsung Galaxy S5, for example, lasted more than three hours longer than the Verizon model, while the HTC One (M8) lasted two hours longer than the AT&T version. 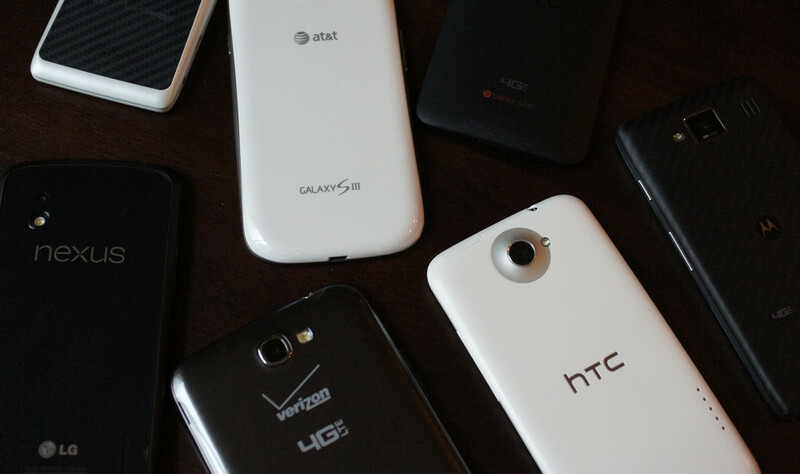 Even older handsets like the Galaxy S4 exhibited the same behavior – the T-Mobile variant lasted an hour longer than the Sprint variant. Averaged over a 3-year period, Laptop Mag reports that T-Mobile phones typically last 8 hours and 11 minutes on battery, Sprint devices 7:34, AT&T 7:26, and Verizon 7:12. What are the reasons for the disparity? Laptop Mag ruled out location – they had a writer run the same tests in a different city. The publication postulates that T-Mobile’s network could be sending and receiving data more efficiently than others. Another contributing factor could be the relative lack of bloatware T-Mobile pre-installs on its devices. Whatever the reason, “Uncarrier” subscribers have yet another reason to gloat.